I'm not a fan of trendy things, street food is another one of those warning signs that something is trying too hard. On the way back from playing cards at ManaLeak's new industrial location in Digbeth a security guard suggested I might like to eat at the place they were guarding, and that I was free to wander in and look around - so I did. 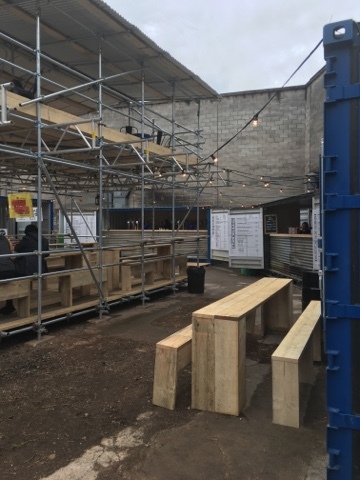 That place was Hawker Yard, a ruin-bar inspired collection of mini stalls. This could be a worry if it's just burger vans, but both the set-up of a two tier eating area and the choice of foods was certainly well curated. There was Dim Sum, Greek and confusing array of vegan burgers at one end and a large, well stocked bar at the other. 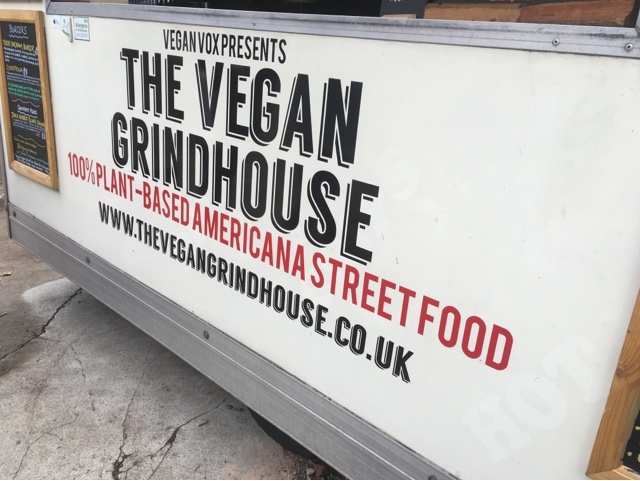 Naturally I gravitated towards the most alien place - called Vegan Grindhouse. While I do like to think of myself as an 'unethical vegan' in spirt (more on that another day) I do eat meat regularly simply because I have a tendency to hang out in areas where nutritious vegan food just isn't viable (such as the pub I'm writing this in). Here however the options are bountiful! I didn't fancy a burger (people's obsession with bread still confuses me) so I opted for the tempting salad at the bottom. 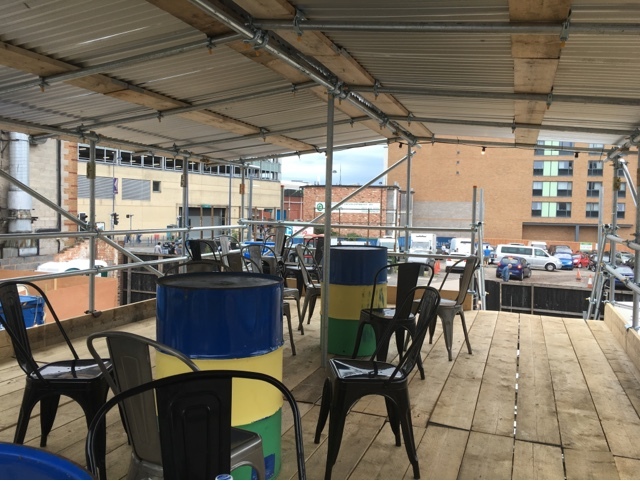 Here it is - sitting on an oil drum, on the second storey of a scaffold structure from which you can watch all of Digbeth go by. 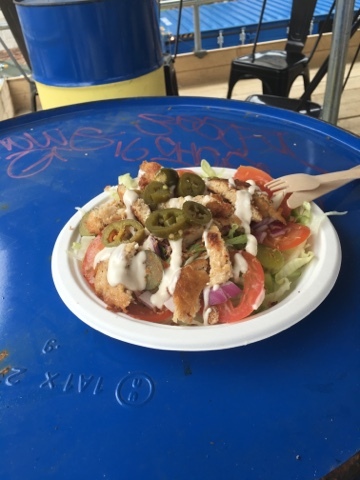 In theory there isn't much here, just some salad leaves and some vegan-chicken and vegan-mayo, but my goodness it was tasty. There is a little bit of wizardry here, making something that is close to raw fresh ingredients so appealing. For one, the mayo both cools the jalapeños and livens up the crisp lettuce. The vegan-chicken is the real star. 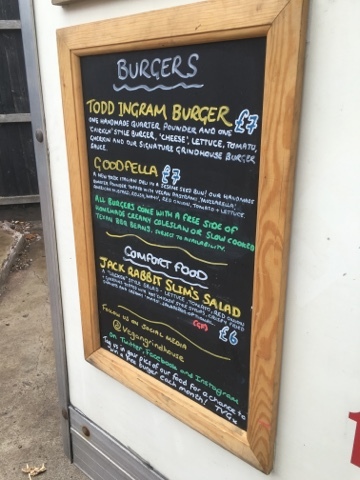 Presumably this is just their burgers sliced up and popped on the salad but with a soft but firm texture and an almost nutty flavour I think I'd rather have this than the real thing. It's almost certainly more nutritious too, with far more flavour than your standard festival chicken. This is a new venture - this was a preview weekend that I just happened to stumble on. I think there were three or four separate stalls for food then the long bar. The plan seems to be to extend this to 8 food outlets and to have it as a regular weekend thing over Friday and Saturdays, and I'm all for it. 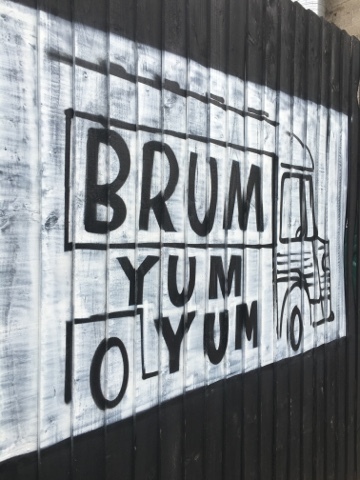 If all the food is as good as the Vegan Grindhouse offerings then it's going to be a magnet for hungry Brummies within a matter of weeks, as news about cool places to hang out travels fast. Definitely somewhere worth popping into town to explore.